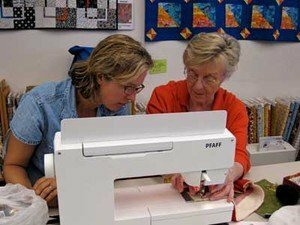 Depending on the complexity of your machine, we offer lessons on using it. Please call us at 301-527-0598 for complete details. - be designed for your experience level to cover the multiple functions of your new machine. You will have years of loving your machine as much as we do. We are happy to help you get started.